The Evans environment is very different to that of other consulting firms. Employees continually tell us they feel supported, encouraged, and welcomed from day one. The Evans experience starts before day one. Our recruitment process is incredibly thorough. 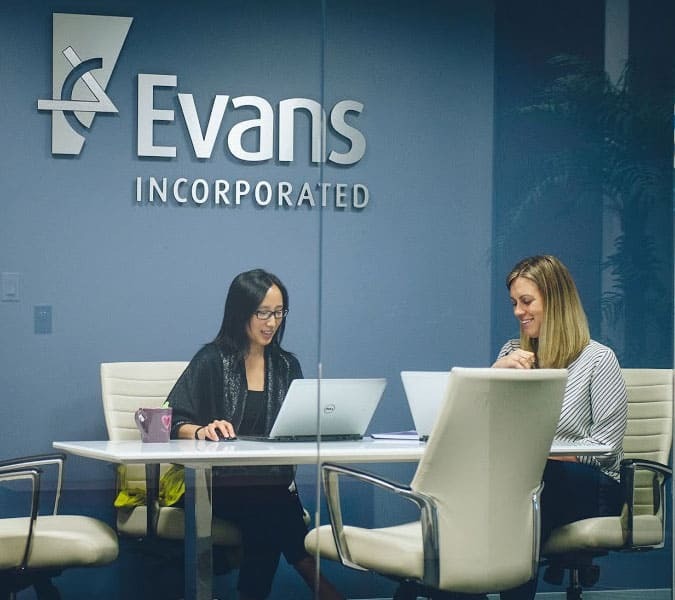 The Evans leadership team is active in recruitment, and we’ve developed processes to make sure employees skills, personalities and priorities match up to what we need and what we have to offer. Once we hire a new employee, that’s just the start of our investment. We nurture our staff’s career with professional development opportunities and room to grow within the company. We encourage professional development in a number of ways. Because when we invest in our employees’ professional and personal development, the pay-back is threefold: it benefits the individual staff member, the Evans team and ultimately our clients. We support professional certification and active participation in professional organizations. We also have an educational reimbursement program for individuals pursuing further academic qualifications. Evans is an active participant at networking events and we support staff who present at or arrange professional events. Evans has even won the Helios Apollo Award (2012, 2014) in recognition of our commitment to employee growth and continuous learning. It’s important that our staff aren’t just technical experts, but also have the right attitude. Consulting can be a an isolated and competitive lifestyle but we do things differently. We foster collaboration through regular team building exercises and paper bag sessions. We engage in numerous fun collaborative events, to include a recent whole-of-company team building day (including an outing to the Nats!). One of the things I’ve noticed in the growth of the company is that we have really exceptional people who come on board with a lot of energy and passion. 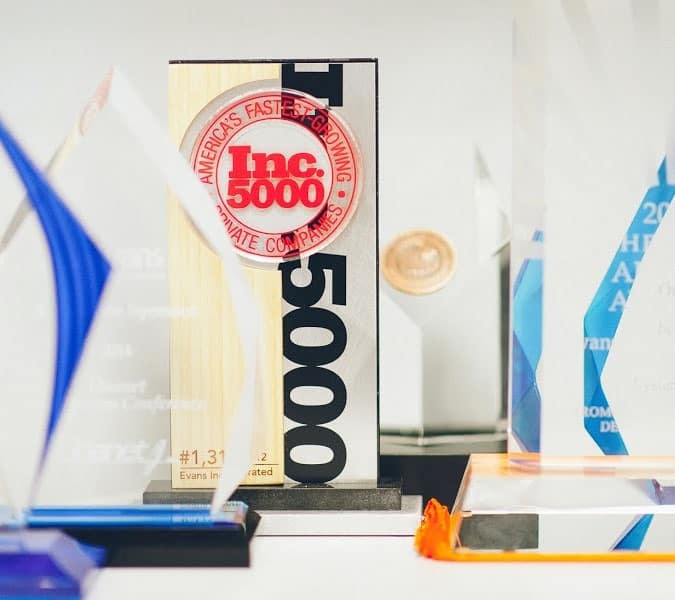 I want to make sure that as we continue to grow, we are keeping that flame lit and constantly fueling individual fires while we fuel the fires of our company. Other consulting firms can be very competitive and that’s not enjoyable. Evans has a lot of creative people and a lot of creative people willing to work together and build on each other’s ideas and enhance each other’s ideas. Evans people all have a very good work ethic in terms of doing things for the client and remaining connected to Evans and one another.